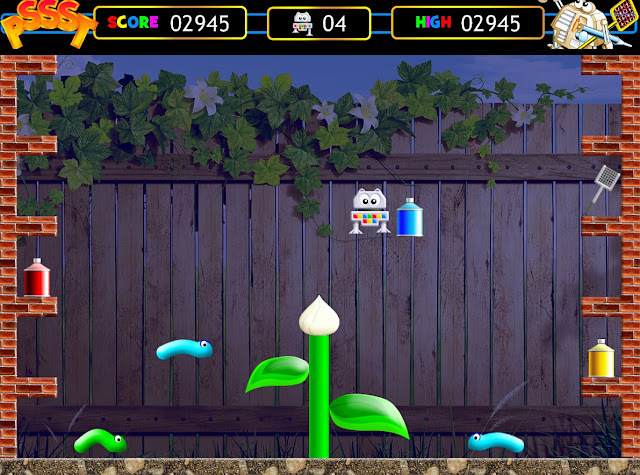 Before we jump into the games, what I like about this release other than that it being a double game in one file, is the developer has provided an easy selection menu to choose between each game, different keyboard controls, full screen, windowed mode and the choice from the original retro graphics to the more modern look. So if you are a purist and no amount of modernisation will do, then you can play in that lovely ZX Spectrum look, as can be seen by the two cookie screenshots top to bottom. In regards to the game play, in COOKIE which was originally released in 1983 for the ZX Spectrum. 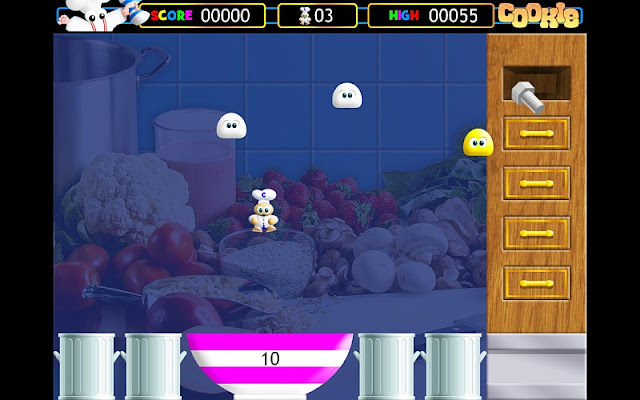 You play as Charlie the Chef and must shoot flour bombs at the ingredients who are trying to escape his pantry and then knock them into the mixing bowl. The problem is the game is so difficult, you not only have to stop the ingredients from falling into the dust bins and being eaten by the bin creature, but if you touch any of the ingredients or the items thrown out by the creature, you lose a life - which in my play through happened a lot. As for which version I preferred, I've got to say I'm swaying more towards the original game, as although the modern version is more snazzy and sounding great, the original doesn't have such a busy background picture which can be a little off putting. 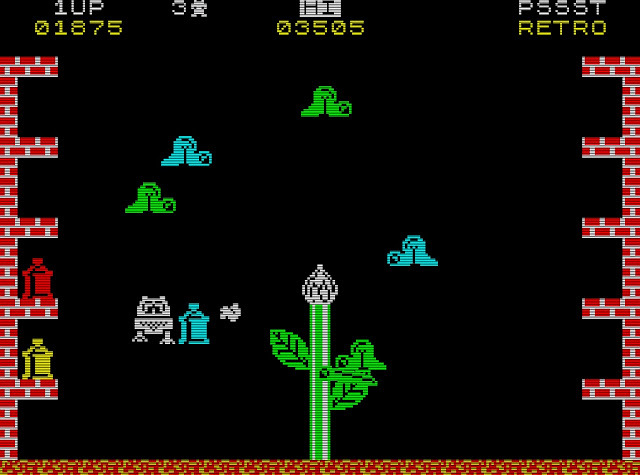 The second game to have a remake was Pssst, which again was originally released by Ultimate Play the Game for the ZX Spectrum, way back in 1983. In this remake which has been given a graphical overhaul from the original such as the sprites, background and growing plant, you play as Robbie the Robot and must stop the deadly garden pests from swarming and eating at his plant. This can be done by picking up the different spray cans such as insect repellent, smoke and streamers, while trying to figure out which spray can does what. 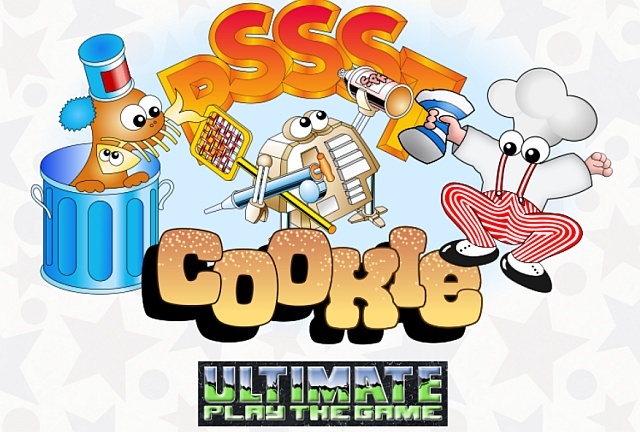 Unlike Cookie I actually like both versions, both the original and modern look are highly enjoyable to play and the background doesn't get in the way. Certainly a worthy remake to play this week that's for sure! It really is great what this developer is doing, as for so many years PC retro remakes have been seriously lacking and Langford Productions looks to have kicked it up a notch. To be honest I was so pleased, I gave them the next project to work on, which is a game that involves a lot of enemies, ladders, weapon collections and stabbing ( hint ). And that's me done, now it's your turn to enjoy these remakes, which are downloadable via the main website.